Greetings from Saigon, and happy new year! I didn’t realise it at the time but I have just celebrated my third new years in a row in Saigon. The year before those was in Nha Trang, so it has been four years of new years in Vietnam. I don’t really like new years as a night out (too many amateur drinkers on the loose for my liking) so I have never made a thing of celebrating somewhere different. I will most likely be back in Australia this year for Christmas so the Vietnam run will most likely end. 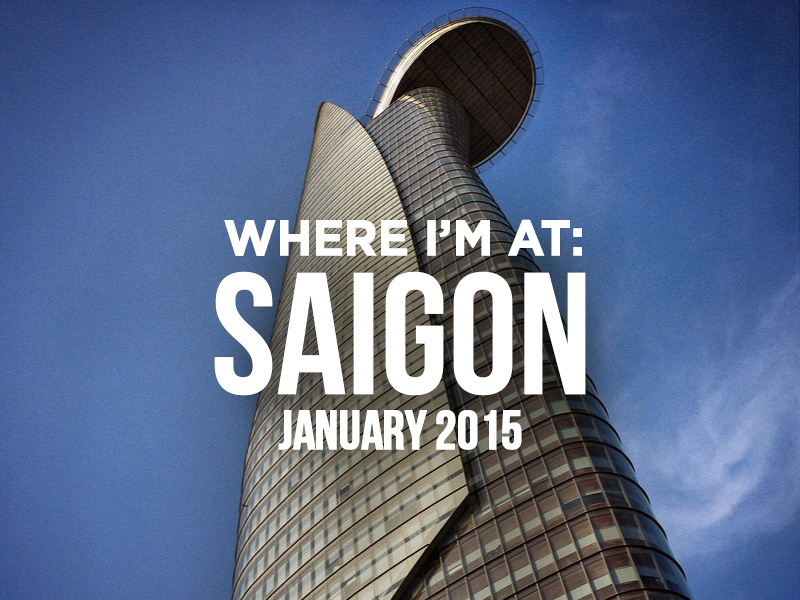 I started the month in Saigon, which is where I have spent most of the month. I’ve settled into a routine of working in cafes and eating. One of the things I love about Saigon is going out for seafood, especially the places where the little plastic seats spill out onto the footpath. 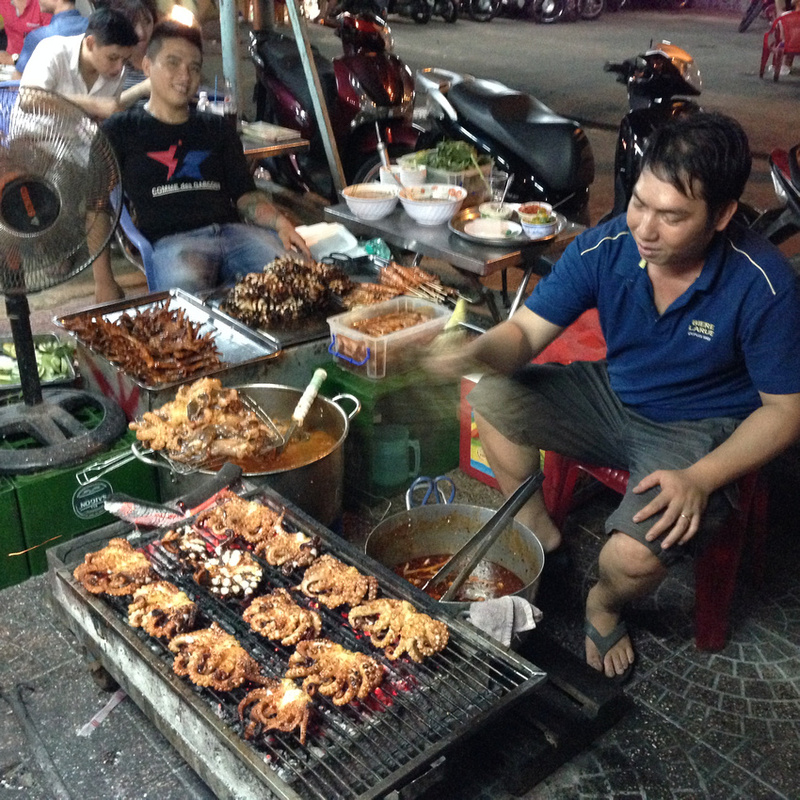 The street food variety here is one of my favourite things about being here. Another great thing about being being here is that it is a busy travel hub. In addition to eating with a regular foodie, I caught up with another Aussie friend, and met another blogger who I’ve known online for years. I don’t think there is ever a week that goes by where there is someone I know who is passing through. Health-wise, my back is still not quite right even though I am 100% mobile, so I’m appreciating not travelling too much. I’m also started going to yoga again, which being a full-time traveller I fall out of the habit easily. The last time I was in Saigon I spent three months here without leaving the city. This time I have pledged to get out of the city at least once a month. My trip for this month was to Chau Doc in the Mekong Delta. Chau Doc was the first place I went to on my first trip to Vietnam in 2005, where I arrived from Cambodia. I spent a night there and I don’t really remember anything about it, so it was good to go back and experience it properly. 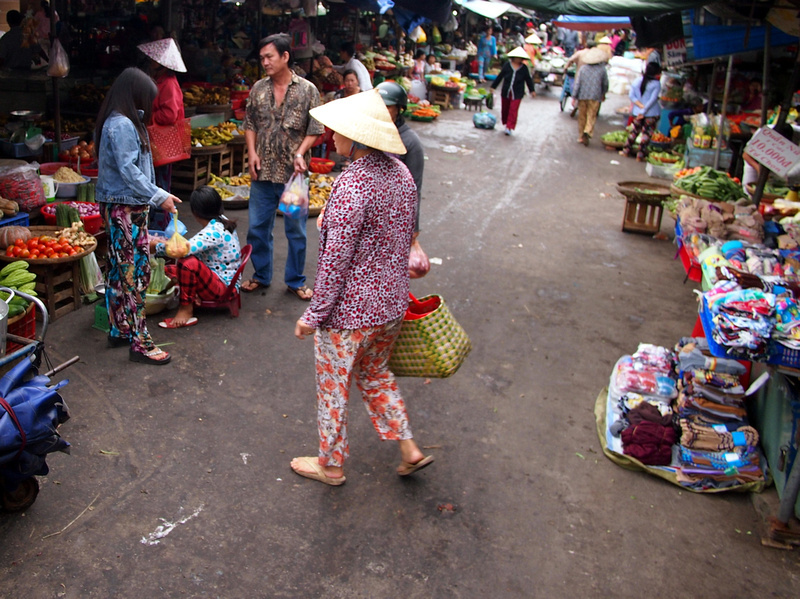 There is not a whole lot to do in Chau Doc, but I love visiting these provincial Delta cities and wandering around the markets. It’s also a good place to base yourself for Delta trips. 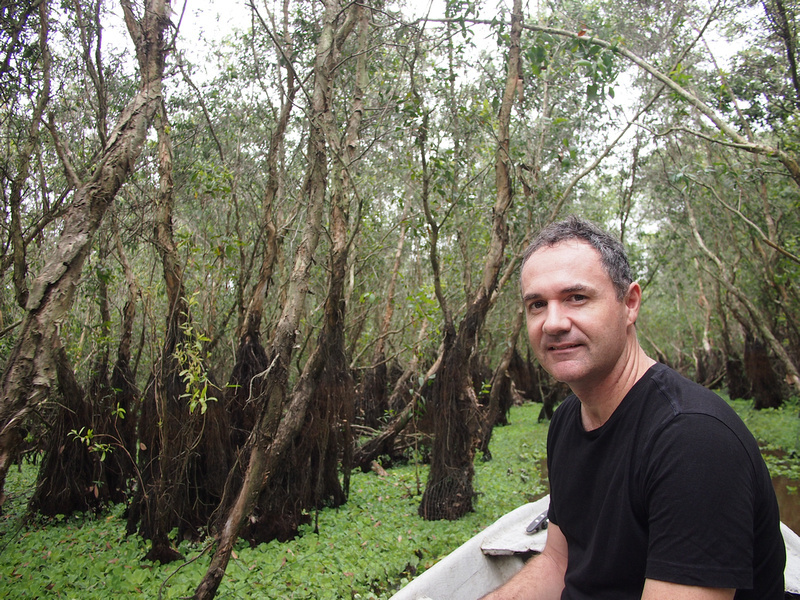 Less than an hour from Chau Doc is the Tra Su Forest, which is a flooded forest with tree-lined canals. There weren’t a lot of visitors there and it is surprisingly clean, given Southeast Asia’s reputation of rubbish-strewn natural sites. There are canals in the forest with nets along the edges that keep the waterways clear for boats. You first get a motored boat to a smaller canal, then transfer to a waiting row boat where a rower will take you though the forest. Blog post coming up for that one soon. I haven’t decided where I will go this month, but have a friend from the UK visiting Saigon at the moment, so I am susceptible to last minute trips. I’m done with visiting “traditional villages” – thoughts on tours that take you to “authentic” villages.